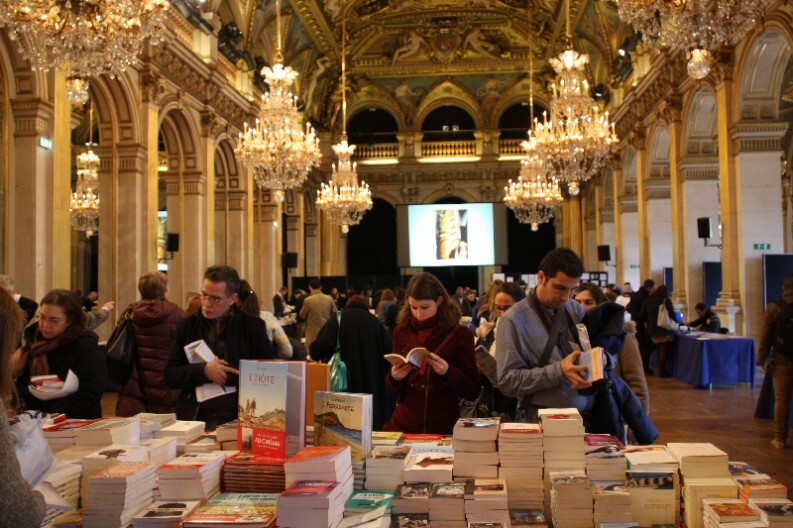 The scene at the Maghreb des Livres book fair in Paris last weekend. Publishing in Algeria, Tunisia and Morocco still struggles to forge a market and identity distinct from that of its French forebears. 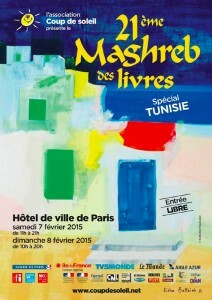 The Maghreb des Livres, which doesn’t get any coverage to speak of in the mainstream press, even if the number of visitors each year hovers around 6,000, is like a vast bookshop with publishers displaying their newest fiction and non-fiction books on any subject that has to do with North Africa. There are books from Morocco, Algeria, Tunisia and France, in Arabic, French and Tamazight, a Berber language. But there are also literary gatherings with acclaimed writers, roundtable discussions and book signings with authors such as Kamel Daoud, Abdellah Taia, Leila Sebbar, and Boualem Sansal. One of the first round-table discussions held on Saturday was on the subject of publishing in the Maghreb. Literary agent Pierre Astier moderated the talk and began by giving the public a general idea of the situation of the book market, which is still burdened with dealing with the legacy of its colonial past. As for the size of the industry, there are approximately 240 publishers in Algeria, with another 40 in Morocco and 30 in Tunisia. Although French is not an official language in any of the three countries, of the 90 million in the region, roughly 33.4 million speak French; statistically, 64% are in Tunisia, 57% in Algeria, and 41.5% in Morocco. Among the publishing professionals on hand for a discussion about the industry were Elisabeth Daldoul, who founded the Tunisian publishing house Elyzad ten years ago, Sofiane Hadjadj, who founded Algiers-based Barzakh with Selma Hellal in 2000, Simon-Pierre Hamelin, directs the legendary Librairie des Colonnes in Tangiers, Morocco, and Isabelle Gremillet, who runs l’Oiseau Indigo, a distribution company for Francophone books from Africa and the Middle East. One of the ways that Barzakh has chosen to work on this is by partnering with French publisher Actes Sud; an example of the positive aspect of this relationship is writer Kamel Daoud’s prize-winning success, Meursault, contre-enquête, (Meursault, counter-investigation) — first published by Barzakh in 2013 and then by Actes Sud a year later. Simon-Pierre Hamelin, of the Librairie des Colonnes (infused with new energy and capital aided by its recent acquisition by Pierre Bergé) also publishes a literary magazine called Nejma, and is beginning to publish books as well, in the tradition of certain booksellers. Hamelin also brought up the complex customs tariffs between the three countries — it is impossible for him to import books from Algeria — from Barzakh, for example, because Algerian law requires the state to be paid the VAT on books in the three months that follow, which makes it a prohibitive cost for booksellers. Indeed, it is for this reason, to Isabelle Gremillet’s regret, that l’Oiseau Indigo has not yet been able to represent Algerian publishing houses. (Hamelin regularly smuggles a few copies of books published in Algeria back to his bookshop in his suitcase). So how can this small market evolve in the future? Hadjadj said that for the past 12 years the Algerian government, similar to Brazil’s, had been involved in the development of the book market, and that this had its positive and negative elements, but that overall it was important for the market, which is fragile and needs government support. Hamelin said that there was very little aid for the book industry in Morocco and suggested that publishers from the three countries could collaborate more for better distribution in France and elsewhere. All agreed that governments in the region needed to be made aware of the importance of culture in human development.